What's New: Look for information on the EARS 13th Annual Fundraising Dinner! 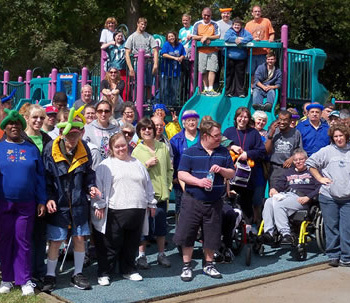 EARS, Inc. (aka Ephrata Area Rehab Services) has assisted intellectually disabled adults to become productive and contributing members of the community since 1970. EARS has two campus sites (1 in Ephrata and 1 in Lebanon) that provide programs such as Specialized Services Unit (SSU), Vocational Unit (VU), and Advanced Training Unit (ATU) and Transitional Employment Services. From these licensed units EARS serves over 250 individuals from Lancaster, Lebanon, and Berks counties. EARS is a registered charitable organization and contributions are tax deductible. A copy of the official registration and financial information may be obtained from the PA Department of State by calling toll-free at 1-800-732-0999. Registration does not imply endorsement.